I’m an author and a teaching pastor. I’m also the director of church multiplication for NewChurches.com. And in my spare time, I co-host three podcasts—two at work and one with my wife. My name is Daniel Im, I’m a millennial, and I have a side hustle—actually more than one. Though half of all working millennials are side hustling—according to a multi-year study on freelancing in the U.S.—this isn’t just a millennial thing. Approximately a third of both Gen Xers and boomers are also hustling on the side. Just think about the people you know. How many of your friends drive for Uber or Lyft? Rent out their place on Airbnb when going on a vacation? Or have ever sold something on Etsy or eBay? They’re a part of the growing freelance or gig economy that 57.3 million Americans were a part of in 2017—that’s more people than the total combined population of Canada, Liberia, and Puerto Rico! In fact, based on trends, by 2027, more than half of all working Americans will be a part of the freelance economy. Though there’s no consensus on what to call this new normal—freelancing, gigging, contracting, side hustling, consulting, sharing, or moonlighting—the important thing is to know what it is, and whether it’s okay to have one as a Christian since it’s here to stay. This past year, when I was invited to speak on one of my books to a group of pastors in the San Francisco Bay Area, I ubered over to see one of my friends in the city. When a mid-50s Mexican mother picked me up, I knew I was in for a treat. “How long have you been driving for Uber? Why Uber and not another job? Do you feel safe? What about your children? And do you have any crazy stories?” were the kind of questions she graciously answered for me during the ride. Although she had been working full-time for the last 30 years taking care of her family, she had never brought home a paycheck she could deposit at the bank. While she was competent to work outside the home, adhering to a strict part-time work schedule simply wasn’t manageable due to her family life. Since she could drive whenever she wanted to, Uber was a perfect fit for her. So for the last year, this mother of teenagers had been driving from 9 pm-1 am, since, by that time, everything had settled down at home. This new normal—for the sake of simplicity let’s call it the freelance economy—revolves around self-employed individuals getting paid for their time, skills, possessions, or expertise. Now, a side hustle isn’t the same thing as working a part-time job. Based upon the definition above, as a freelancer, you work on a contract basis—not as a part-time employee of a company. So if you have a car, you can either drive people or deliver packages. If you are a graphic designer, you can side hustle from the comfort of your home. If you love dogs and like exercise, you can be a dog walker. And if you want to rent out the spare room in your house, there’s an app for that too. Here’s the central premise of the freelance economy—you have unlimited earning potential. Want to pay off your credit card debt? Side hustle. Want to save money? Side hustle. Want the latest gadget? Side hustle. "You are it. You have no more excuses. Want something? Just grind it out and get it done." These are the messages that the freelance economy is feeding us—for better or for worse. And unfortunately, for many Christians, we’re just taking them at face value. Is this okay? Is this for real? Have we really come to the point where doing is a badge of honor? A status symbol? And the way to define ourselves? Is this what the freelance economy is doing to us? Why not? What’s wrong with making some extra cash? There’s nothing wrong with money. In fact, if it weren’t for my side hustles, I wouldn’t have been able to pay off my car, put my kids in extracurricular activities, or fly to visit my extended family over the holidays. So I’m all for it, in fact, that’s why I’m writing a book on this topic! After all, if it’s “the love of money” (1 Tim. 6:10) that is a root of all kinds of evils and not money in and of itself, shouldn’t we rejoice that we now have more ways to make money? While the freelance economy looks like a blessing since we apparently now have unlimited earning potential, it’s also subtly affecting the way that we view the world, ourselves, and God. And if you’re not careful, you’ll end up believing the myths and lies that it’s propagating to our broader culture. Here’s one of them—you are what you do. This is the first myth I articulate in my upcoming book about side hustling and the freelance economy. It’s a lie because it never ends—there’s no end to a life of doing. In fact, it’s pretty much impossible to do enough. Even when you feel like you’ve accomplished all that you set your heart out to do, you will inevitably come across someone who has done more than you. So then what? Do you just do more by picking up a gig here, or a side hustle there? And if so, for how long? The myth that you are what you do is a lie. 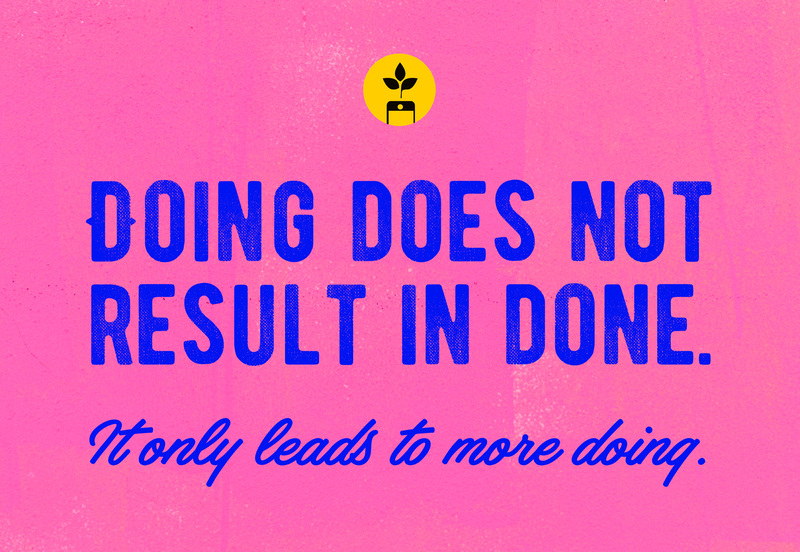 Doing does not result in done. It only leads to more doing. 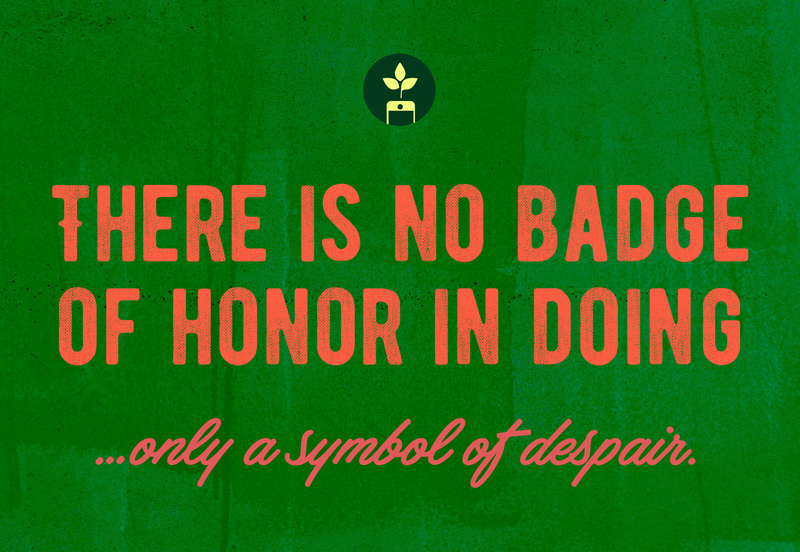 In fact, there is no badge of honor in doing—only a symbol of despair. Remember King Solomon from the Bible? He had everything anyone could ever hope for, yet when reflecting on his life, he soon realized it was all meaningless and futile, “‘Absolute futility. Everything is futile.’ What does a person gain for all his efforts that he labors at under the sun?” (Eccl. 1:2-3). So, if this is the result of a life of doing—and of a life that believes the myth that you are what you do—is it worth it? If we can only partially and temporarily enjoy the benefits of all we’ve done, is it worth living for? Is it worth building our lives upon? …as long as it doesn’t become your be-all-and-end-all. When you define your identity in what you do, you’re setting yourself up for failure. This is because doing does not result in done. It only leads to more doing. Imagine what would happen if you began driving Uber for at least 10 hours a week? Or rented out a room in your house on Airbnb? 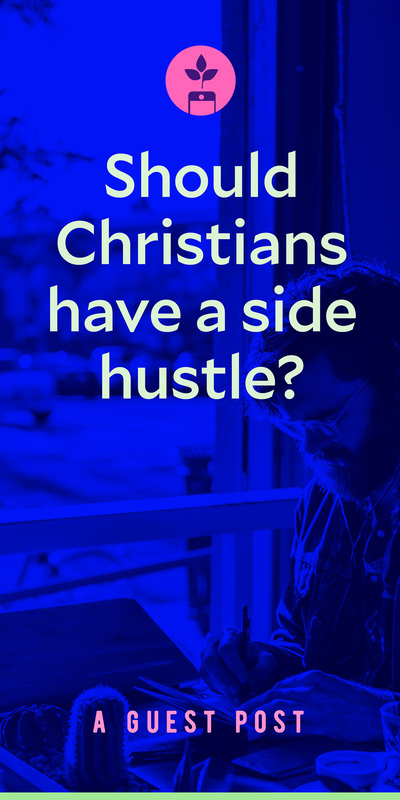 Not only would these side hustles provide an additional source of income, but more importantly, it would offer you an opportunity to pray for your city as you’re driving through it, as well as opportunities for evangelism and spiritual conversations! So that’s my challenge to you too. Friends, the freelance economy has arrived. What are you going to do about it? Editor’s note: This is a guest post by Daniel Im. Daniel is the Founder of NewChurches.com and the Director of Church Multiplication for LifeWay Christian Resources. He is a Teaching Pastor at The Fellowship, an author, and the co-host of the New Churches Q&A Podcast, the 5 Leadership Questions Podcast, and a brand new podcast with his wife on marriage and parenting called the IMbetween Podcast.